Kirsten Madison is a project coordinator within the technology innovation team at The Hilltop Institute. She works with stakeholders and the contracted technology information company to support ongoing enhancements to the LTSSMaryland system. 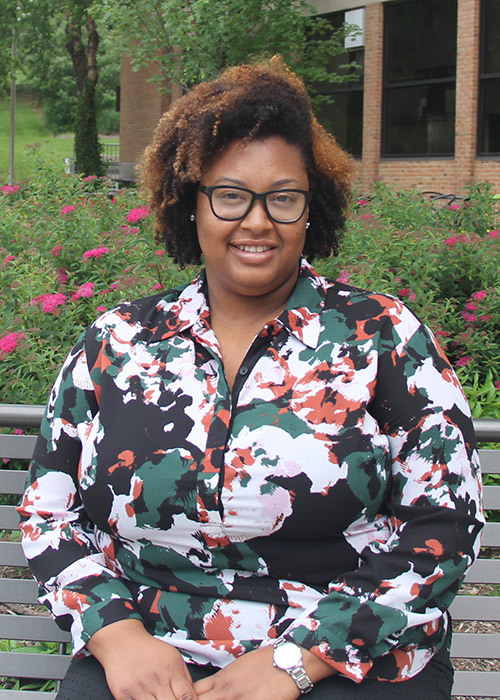 Kirsten came to Hilltop from the Behavioral Health Administration within the Maryland Department of Health. There she was a special programs coordinator, serving as team POC to process and track project-related documentation: scopes of work, individual timelines, data use agreements, and individual memorandums of understanding. Kirsten also maintained regular communication with the CRISP development team, providing consultation and identifying resources to support mitigation of challenges with the user interface or data maintenance. Prior to that, Kirsten was a pharmacy program intake coordinator at Option Care Customer Support Center. As such, she processed provider referrals and conducted insurance verification, communicated with stakeholders about pharmaceutical program implementation and coordination, conducted data analysis, and prepared regular and ad hoc reports for program leadership. As an outpatient business assistant at Pathways Drug and Alcohol Treatment Center, Kirsten provided administrative support, assisted patients with their benefits and financial arrangements, and prepared detailed daily and weekly reports for leadership. Kirsten has an MPS in health information technology from UMBC. She earned her BS in business administration and management from Virginia Commonwealth University.